And I loved you so much, O dear Krishna! I always had your huge poster pasted to the wall. Later on, I started painting myself. As if I am right there with you! 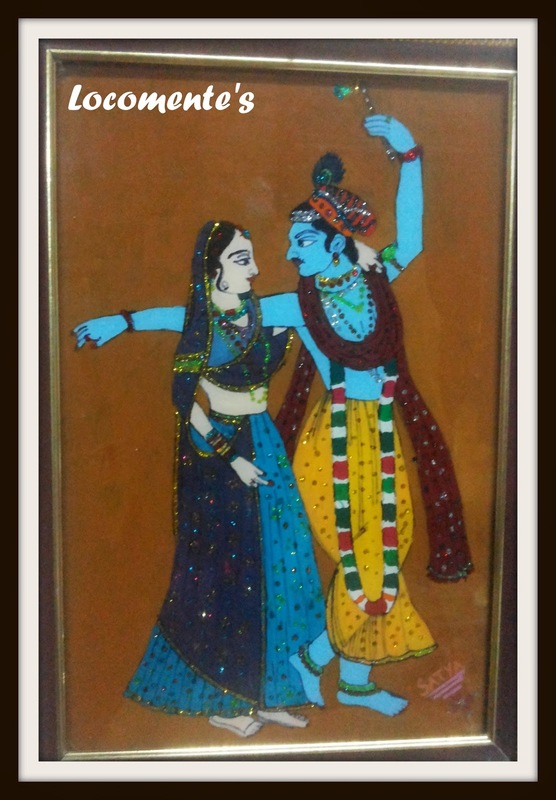 Here is one of the many paintings of Radha and Krishna! Beautiful painting. You are a great painter. nice...so this is your painting? Pretty one! And Lord Krishna is an inspiration for all. And Krishna with a mustache? First time I am seeing :D Good! Krishna doesn't have a mustache. Being so small, you just feel so! Yes indeed the quintessential of love , amour , romance - Radha & Krishna - then the eternally craving mysterious damsel. Nice painting but perhaps not ofbeat!